Take a glance at the Musicians ads at Craigslist for Phoenix and Scottsdale. What you’re likely to see is a lot of classified ads for band members needed for cover bands in the Valley. You’ll find ads looking for band members to play different instruments for a band, whether it’s bass, drums, keys, guitars or vocals. 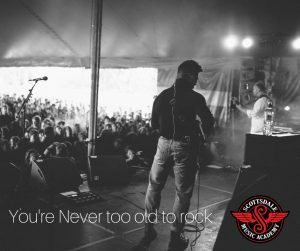 You might even find guys seeking out other people to start a cover band targeting a particular mega act or a type of music (rockabilly, disco, blues rock, etc). For the older rock n roll guys and gals in the Phoenix-Scottsdale market, playing rock n roll in a weekend cover band is sometimes the sort of thing a mid-life professional really enjoys doing. Cover bands are big business in the Valley, and a lot of venues like to hire accomplished cover bands to draw and keep the crowds in their restaurants, bars, festivals and more. The ads are generally from older musicians – and a lot of baby boomers – looking to play the music of their youth for appreciative audiences all over the Valley. Songs from the 60s and 70s, to the 80s and 90s, resonate with nostalgia for many adults, and it’s here that cover bands find their connection with the audience. But to succeed in playing for a good cover band first, you’ve got to sharpen up your skills and your songbook knowledge. That’s where the professional musician instructors at Scottsdale Music Academy can fit in. Our team of accomplished musician instructors can help you achieve your ambitions to play better, with more dynamic tone and skillful agility. 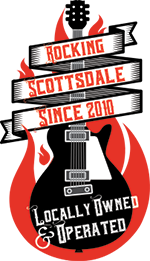 Taking guitar lessons in Scottsdale at the Scottsdale Music Academy is the right first step in making your cover band dream come alive. Whether you want to be a simple rhythm guitar player like Tom Petty or a whizbang lead sensation like Eddie Van Halen, guitar lessons with us are a great first step forward. We’ll show you chords to play, rhythm guitar exercises, lead guitar scales in well-known songs and much more. Better start getting some practice practice time in now to learn the inventive guitar scales you’ll need to know. 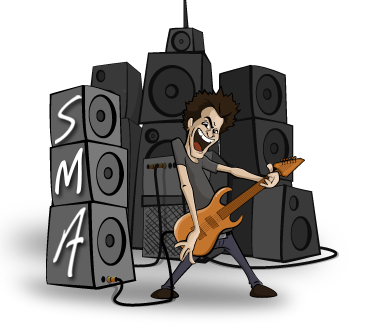 Get ready, get set and GO for your next guitar lesson at Scottsdale Music Academy. We are the Northeast Valley’s leader in professional music instruction. Call us at (602) 751-3537 to discuss our different music packages and remember – your first lesson with us is free!